When an aging loved one can no longer remain independent, a nursing home may be the best option. However, the elderly may be especially vulnerable to abuse or neglect while living in a place that is supposed to keep them safe. Although you should be able to trust that your loved one will receive proper care, not all nursing home employees are attentive and considerate. If you believe that a caregiver failed to protect your loved one’s health and well-being, ask Elk & Elk for a free case review. We are committed to supporting Dayton elders and their families as they face the personal costs of negligence. Regardless of age or condition, elders deserve respect and reliable care. The elderly and their loved ones all suffer when care facility employees do not carry out their duties. Injuries, illnesses, emotional trauma and financial loss are all possible consequences of negligence and abuse. Although nearing the final stage of life, older adults deserve to live as long and as well as possible. Too many caregivers across the country fail to value elders’ lives. Certain forms of abuse are not always noticeable before the elder suffers lethal damage. For example, force-feeding is extremely hazardous and can cause choking. Families may not discover this abuse until it is too late. When nursing home abuse causes death, the elder’s family may be eligible to file a wrongful death lawsuit. Elder abuse is just as illegal as abuse of any other person; an elderly person’s age, physical condition or mental status does not excuse negligence. Elk & Elk can advise you after the loss of your loved one. We can help you gather the facts and evidence to find the truth. Call our lawyers at 1-800-ELK-OHIO. How common is elder abuse in nursing homes? Sadly, there is no way that a family can guarantee that a loved one will be safe at a given facility. Regardless of the location, cost and appearance of a nursing home, maliciousness and negligence may lurk under the surface. According to the World Health Organization, this is a widespread issue across the country, with thousands of claims proven in court each year. Recent data shows that two-thirds of long-term care facility employees had admitted to committing abuse within the previous year. Ohio is no exception. Many cases of nursing home abuse and neglect have shocked families in Dayton and surrounding communities in recent years. Not all cases make headlines, but each instance of abuse is serious and contributes to a large-scale problem. When a family believes that a loved one is suffering in a nursing home, the elder’s safety and well-being should be the primary concern. In non-urgent cases, you can attempt to voice your concerns with the nursing home staff and administrators. They might investigate and resolve the issue internally. You may also contact the Ohio Department of Health or the state Attorney General. However, speaking up does not always lead to better care for residents. You may need to take immediate action to move your loved one from the facility to a safe location. Our responsive lawyers can help you find legal solutions to any obstacles so that you can protect your loved one when he or she faces imminent danger. If your elderly loved one has suffered injuries, major illness or death and you believe that a nursing home is responsible for the harm, you should consult a personal injury attorney. Suing the nursing home may be the most appropriate and necessary course of action. 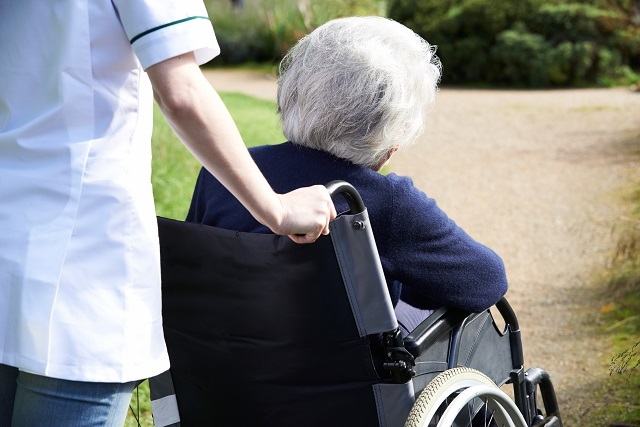 To win a case for nursing home negligence or elder abuse, you must prove two main elements: the other party’s negligence or abusive acts and the nursing home resident’s damages. Evidence is a vital part of proving that your loved one is a victim of this form of medical malpractice. As soon as you believe that negligence or abuse may be harming your loved one, it is important to document it. This may involve taking photos or videos of the elder’s physical and mental state as well as conditions within the facility. Your lawyer can assist you with using evidence to support claims of nursing home negligence. We can guide you throughout your case – from explaining how you can protect your loved one to presenting evidence of neglect in court. Your loved one should not have to suffer in a hazardous Dayton nursing home. If he or she has already experienced abuse or neglect, it’s time to seek justice. Elk & Elk is prepared to fight aggressively for you and your loved one if you have a valid nursing home negligence claim. Our track record of successful verdicts and settlements speaks to our dedication to the welfare of our clients. Call 1-800-ELK-OHIO or fill out our contact form to make a free appointment with one of our talented attorneys.